Special design into 3 in 1 functional mountain bike bag, large volume for maximum storage and good material makes it durable and wear resistant. Suitable for long-distant riding. Stylish and design, exquisite appearance. Water resistant canvas material, wear resistant, solid and durable. Handle design in the top, convenient to carry. With fastener tapes to fasten, easy to adjust and install. 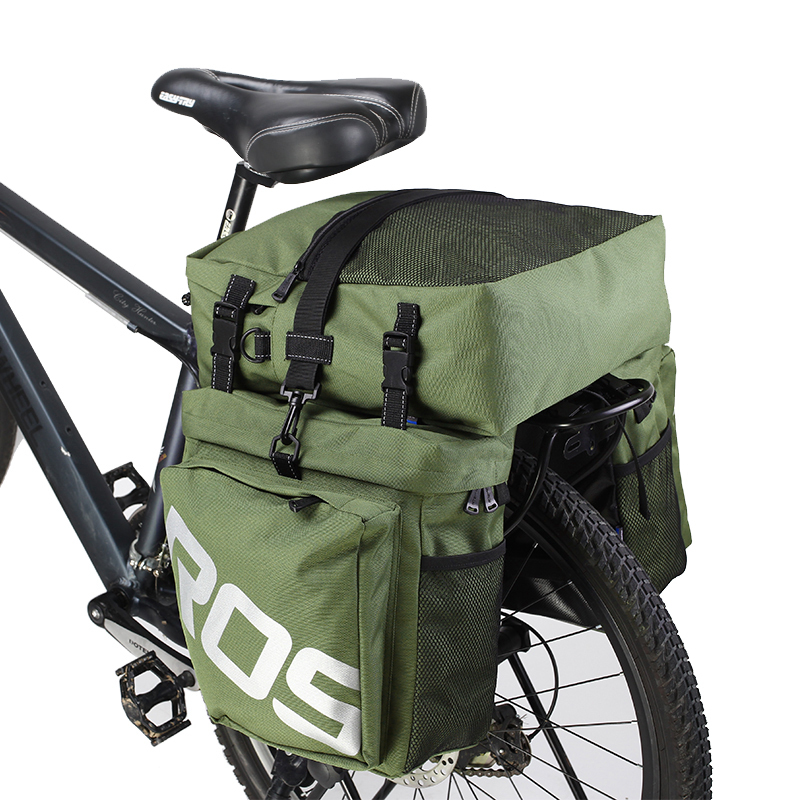 Two side bag and one top bag, numerous pockets for maximum storage. Buckle fasten, steadily and firmly, easy to install and disassemble. Reflective printing letter, safer for riding. Detachable top bag can be used as shoulder bag. Built-in PE board makes, shock resistant. Suitable for long journey and most of bicycle model. 3. This listing is for one bag only, other accessories are not included.